K-Dot has been revealed as the latest star to appear in ‘Bad Blood’. Taylor announced the 'To Pimp A Butterfly' rapper's persona on Twitter last night (11th May 2015), ahead of the video's premiere at the Billboard Music Awards on 17th May. Joseph Kahn, the man responsible for Eminem & Rihanna’s 'Love the Way You Lie', 50 Cent’s 'Ayo Technology' and Chris Brown’s 'Forever', is on hand to direct the promo. 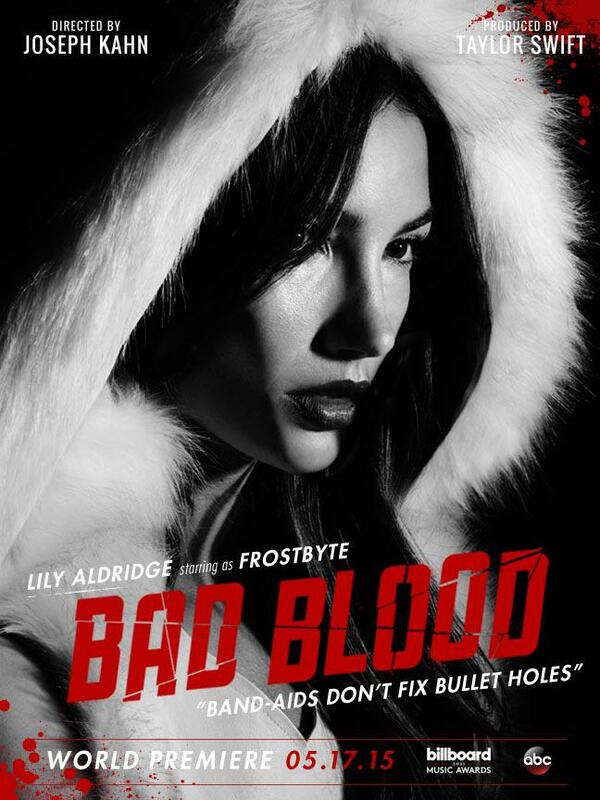 King Kendrick's not the only big name who’s signed up to be part of the ‘Bad Blood’ hype; Zendaya, Lily Aldridge and Gigi Hadid have also picked their own alter-egos for the video. Still no word on whether her new bae, Calvin Harris, has signed up to be part of the video yet - but judging by her track record, it’s probably for the best that the 'Outside' DJ stays out of the way.